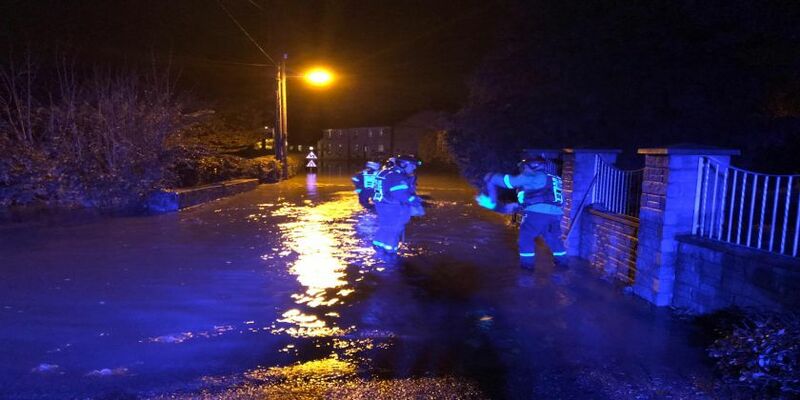 Emergency services are currently dealing with flooding at the Lower Priory area of Milford Haven, Pembrokeshire. Dyfed-Powys Police, Mid and West Wales Fire and Rescue Service, Pembrokeshire County Council and Natural Resources Wales are working together to reduce water levels and ensure the public’s safety. The Priory Inn pub and one other property have been affected. There are 12 other houses in the area. Everyone is safe and there is no threat to life at this current time. The fire and rescue service is using a high volume pump to water from Pill side and discharging into Milford Haven Docks. Milford Haven Docks are working with emergency services and doing all they can to lower the water levels. Road closures are in place at Lower Priory Road and the lane between Liddeston and Lower Priory Road. Traffic management is also in place on the Haven Head Bridge. Members of the public are urged to avoid the area while emergency services carry out their work.